Halloweenies Laser Cut kits by McKenna Ryan. 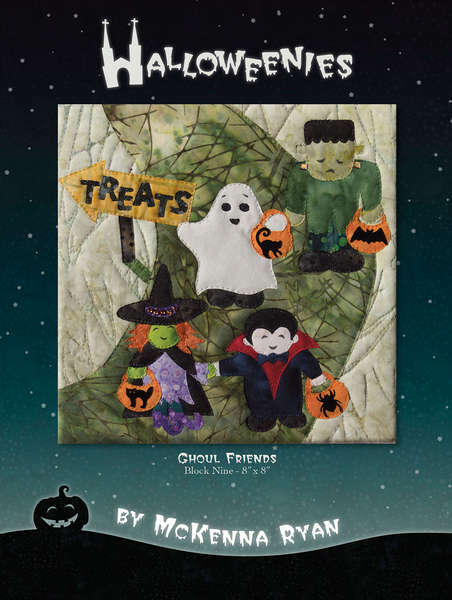 This is a wonderfully scary and fun applique kit. It is pre-fused and laser cut for easy assembly. No need to cut out or to turn under the edges. The kits include the patterns and the original Robert Kaufman Batiks. 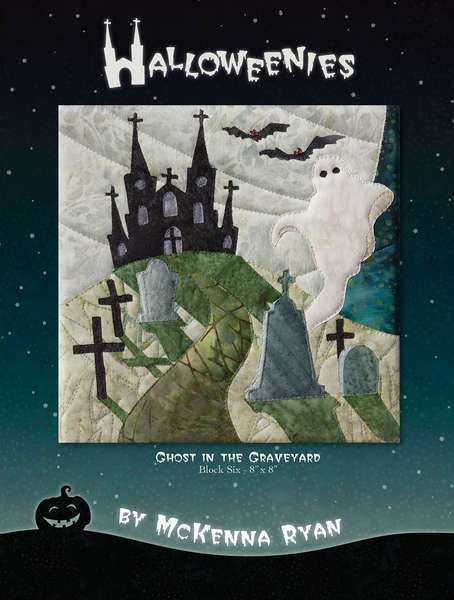 The kit for Block 2 includes the border and the ghosts to finish your quilt. Finished quilt measures approximately 35 1/2″ x 35 1/2″.